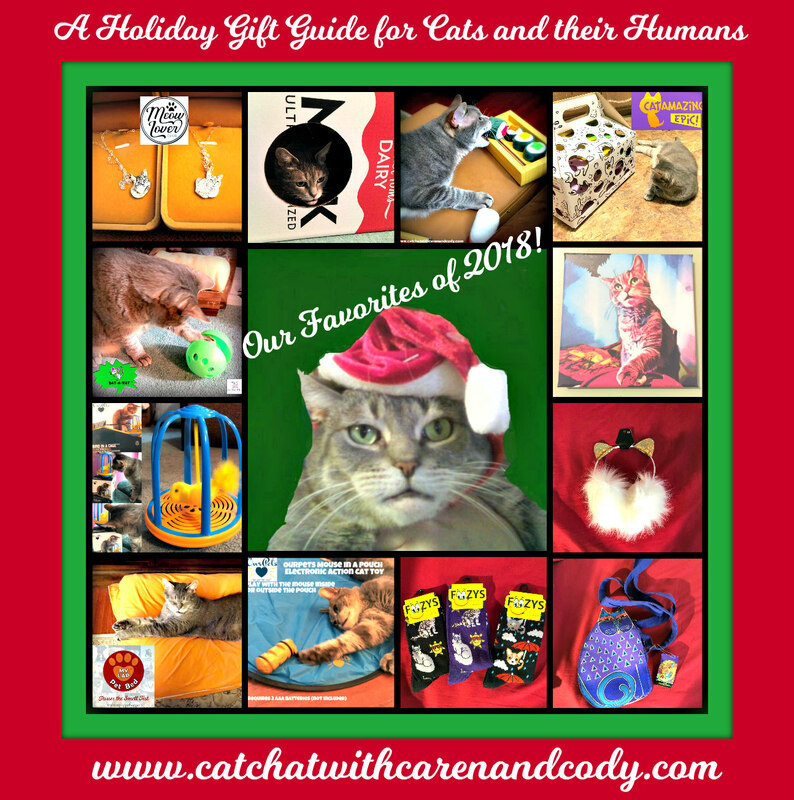 Cat Chat With Caren And Cody: A Holiday Gift Guide for Cats and their Humans: Our Favorites of 2018! 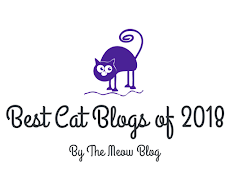 A Holiday Gift Guide for Cats and their Humans: Our Favorites of 2018! DISCLAIMER: THERE ARE NO AFFILIATE LINKS OF ANY KIND IN THIS POST. I will not make a dime if you click a link and make a purchase. Some of these items were featured on our blog in 2018, some were not. I received no monetary payment for this post. natural instincts to explore and play." The Munchiecat toys are non-toxic. They are made using pet-safe materials so you can feel good about offering them to your kitties! 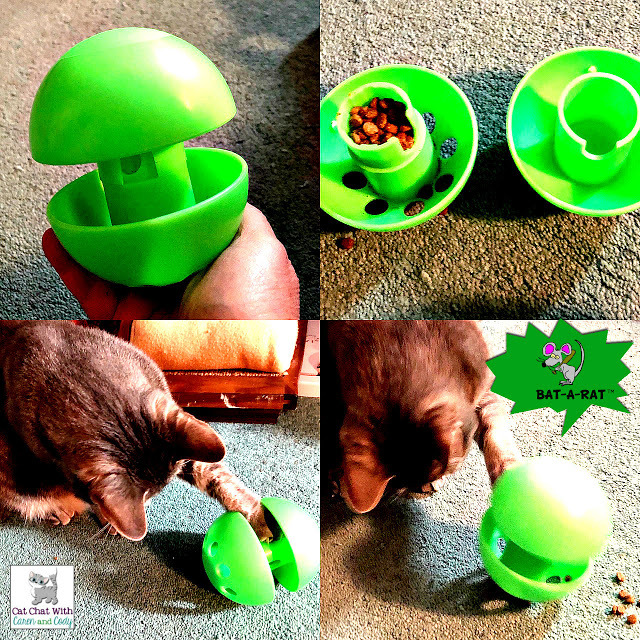 Munchiecat makes their toys in small batches to ensure freshness and quality. The Munchiecat Dream: "Our dream is to make high quality, pet-safe toys that you can feel good about offering to your furry friends. 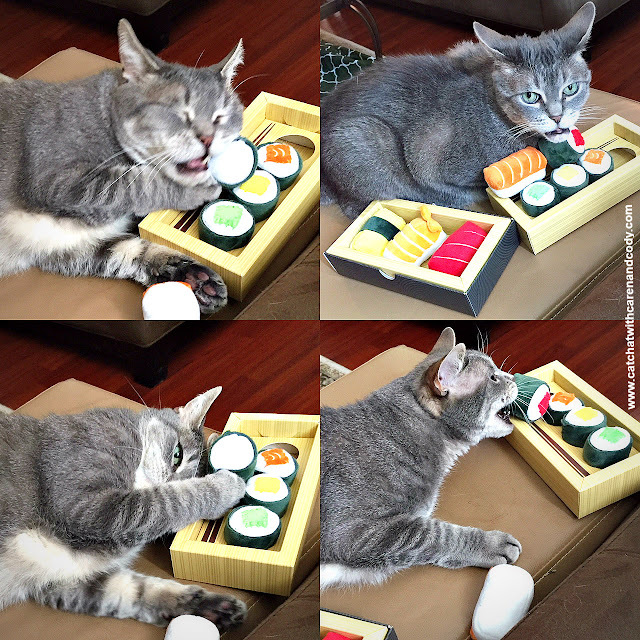 We started with a Sushi set because even the grumpiest and aloofest (yeah, that’s a word) of cats deserve better than cheap plastic balls and rubber mice." "As a wife/husband business we hope to continue making fun and beautiful toys for the creatures that continue to fill all our lives with smiles." Cat Approved! Creative, Attractive and Fun! 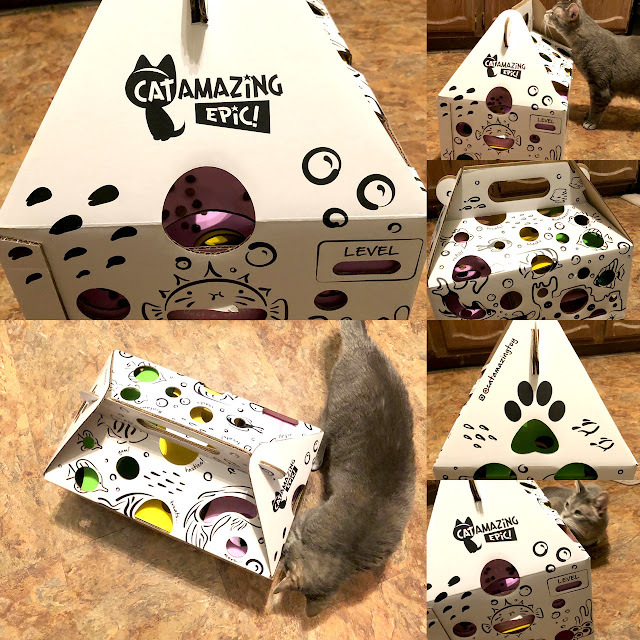 Cat Play Boxes from "Cat in the Box"
Electronic Action Cat Toy from OurPets®! 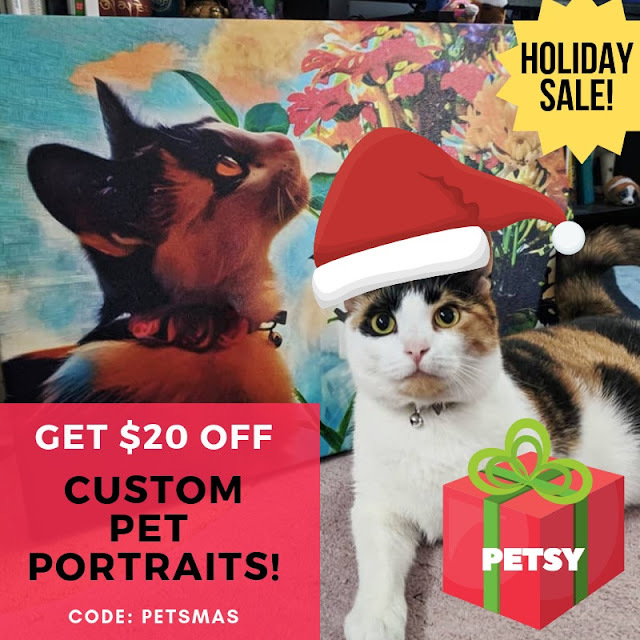 "Irresistible to your pet's nose and heart"
Petsy creates custom canvas portraits of pets that are ANYTHING but ordinary. 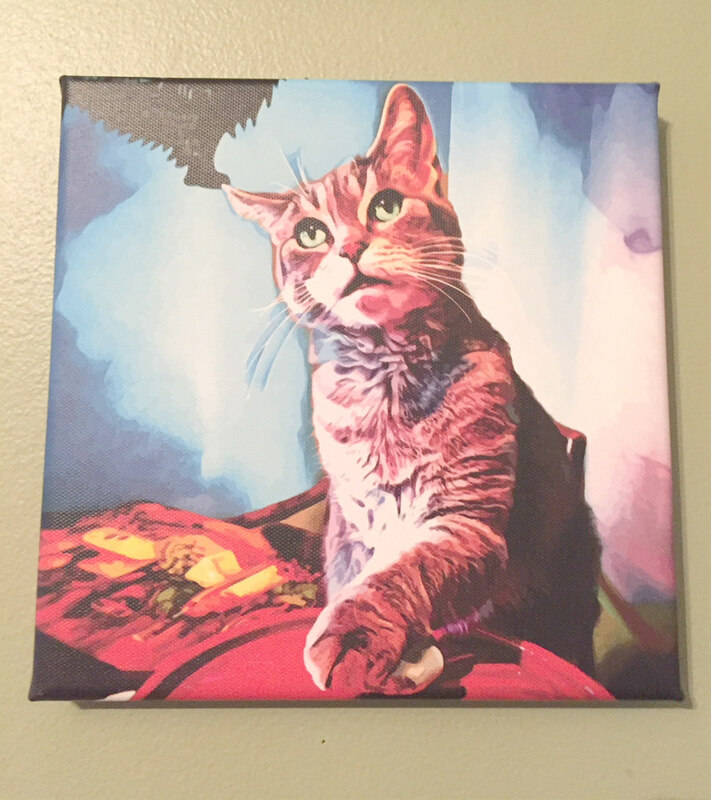 These custom canvas portraits are vibrant, fun and EXTRAORDINARY!! 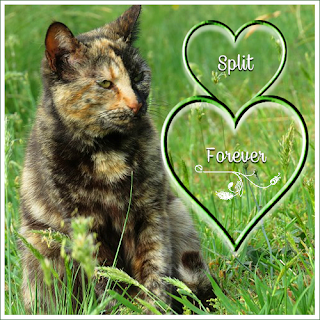 would make a wonderful gift for the pet lover in your life! You will not believe the ENORMOUS selection of socks that they have!! They have nearly anything you can think of for adults, teens and children. Different dog breeds, careers, funny socks, cute socks, soooo many socks!! So many to choose from! And.....the owner couldn't be nicer!! I met her at the Detroit Holiday Boutique last weekend and she gave me a number of pairs of socks in exchange for being featured on our blog. She is incredible and the socks are warm, cozy, and...are just adorable!! who was also a vendor at the Detroit Holiday Boutique. so I can't post them right now! and you can find her on Instagram too! when I was out looking for other items. Well, there you have it! If you haven't finished your holiday shopping, and even if you HAVE there is always room for just one...more....item!!! Go ahead, gift yourself too!!!! Once again, there are NO affiliate links in this post, and I am not receiving monetary compensation for this post. I just wanted to share some of my favorites with you! Happy Shopping!! Lots of good stuff for the kitties. Love those ear muffs, but I think someone would kill them pretty fast at my house! 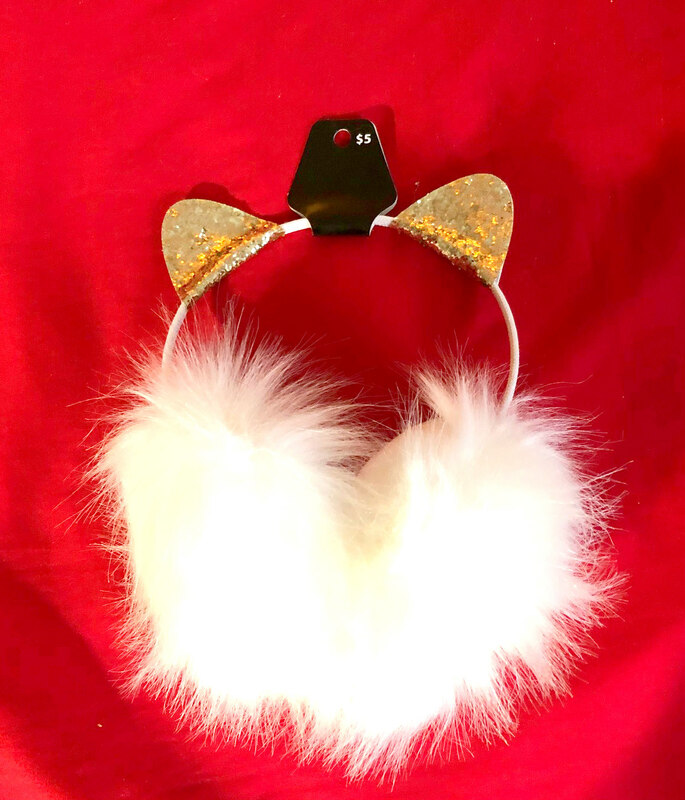 Those kitty ear muffs...would make my life complete! What a great roudup of ideas! Those sushi toys are so cute. We have the Mega Milk Carton which Sophie won’t leave. And I love that canvas! we love that carton too! 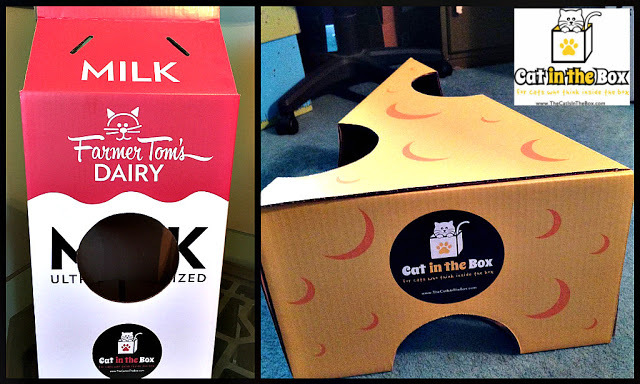 We have the carton and the cheese, too adorable! Awesome picks! Mom is definitely going to check out those socks! Tell Mom if she needs the woman's email address I can give it to her. I met her at the trade show and I am confused as to how to order them, but.......you can go to her Facebook page and message her too!! Let me know if you have a problem! 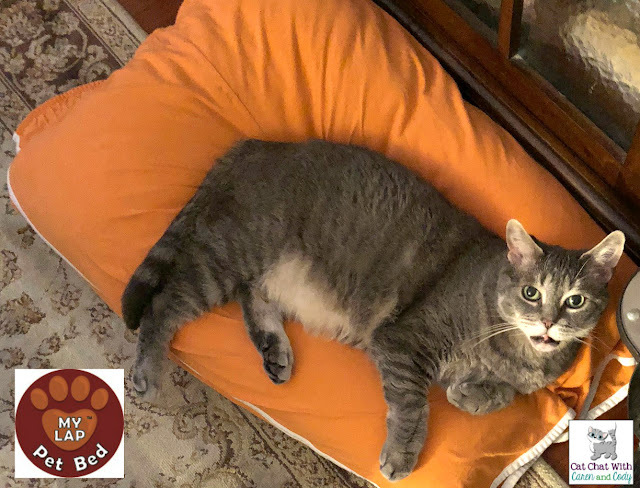 Thank you for including MyLap Pet Bed. That is a wonderful list of things, so many on there we all like! Great stuff, Caren. And fun to see Cody enjoying so6ylpq1 (thank you for commenting, Rufus) so many of them! 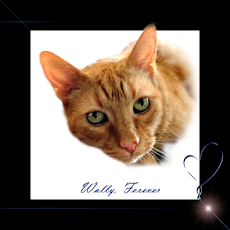 I do like the pet portrait jewelry--what a great gift idea. Oh my stars! What great gift choices! We want to buy those ear muffs for our mom for Christmas. thank you!! I love those ear muffs!!! I had to get them! Can't go wrong for only $5! I love the first two toys. They are great toys. 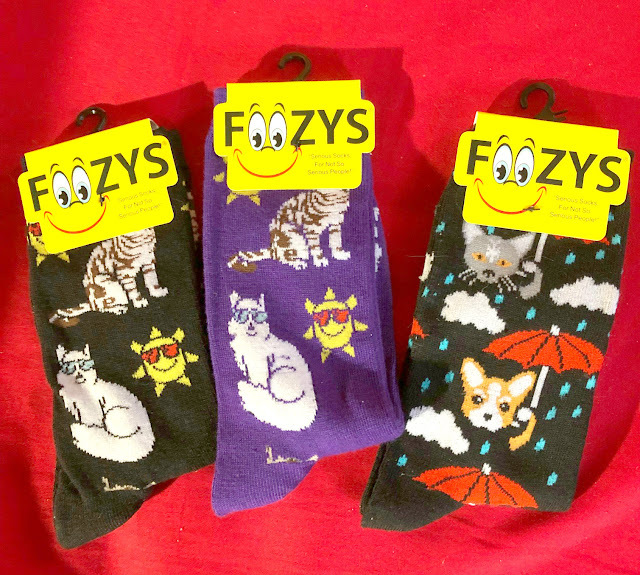 And my human love the socks..
What a great selection of toys for kitties. I love to watch kitties play with their toys. 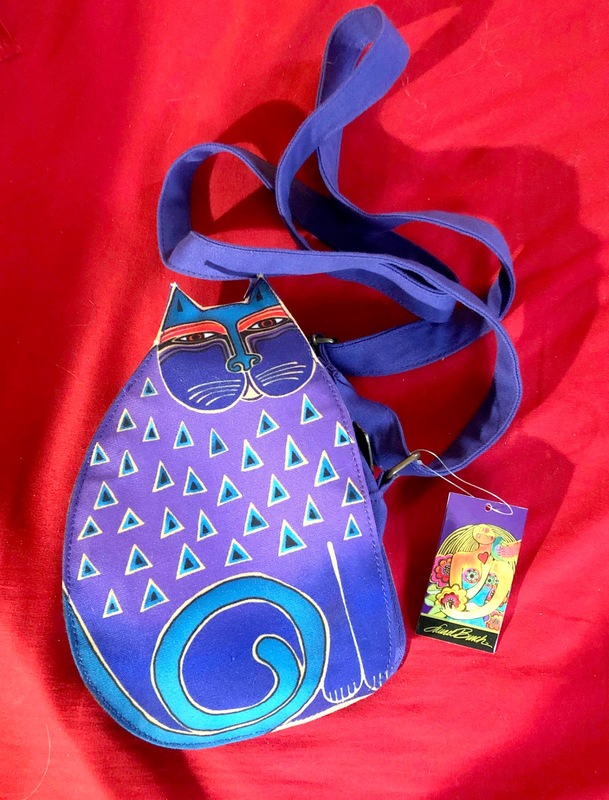 I am a Laurel Burch fanatic, that's for sure! Those are some great ideas. 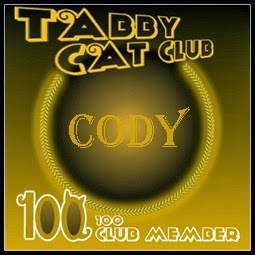 I love Cody's pet portrait. Wow! Those all are great picks! Now that bird cage piques my innerest. We're the same way about affiliates. the bird cage is a favorite...it is too stinkin' cute!! I seriously think you and I were separated at birth lol!! xoxo Hope you are feeling better!! So many great choices! I don't even know where to start! 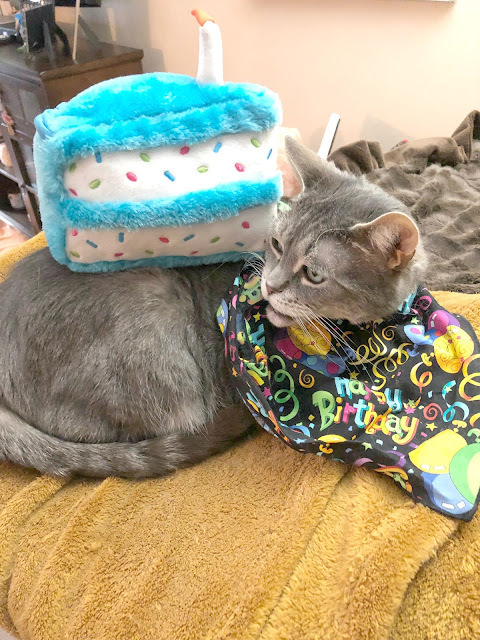 Why, what a wonderful selection of kitty goodies and treats! Those socks reminded dad of a store he was recently in with some of the funniest socks he and mom have ever seen. Some were cute, some hilarious, and some were downright risqué! Happy weekend y'all. I love all those choices! Those earmuffs. OMC!! I think Walmart has some hairbands with cat ears, too, but not those ear muffs! I have been hopelessly AWOL due to work and other commitments...and also due to the recent home invasion we had. You can read about it on my last two posts...don’t worry, though. 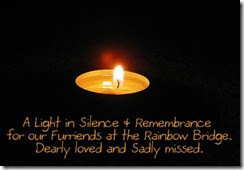 We are all fine, just shaken up...hope all is well with you and yours...we have so much catching up to do, I am just starting fresh as it were. Great choices! 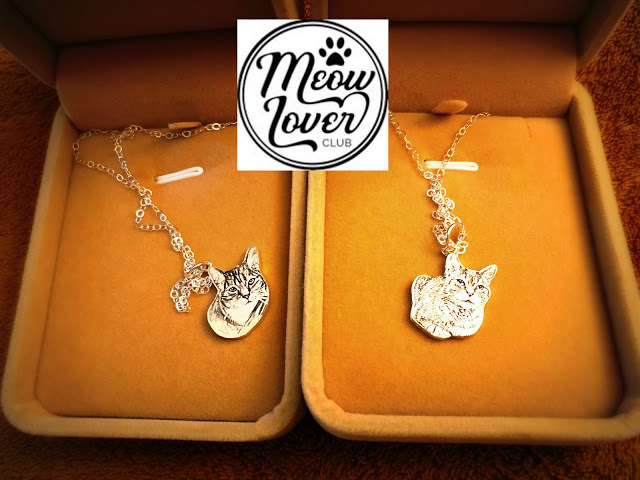 We love Munchie Cat and MeowLoverClub, and I still think those milk cartons are the cutest things ever! So many awesome things here! We especially love Munchie Cat and Petsy's Custom Painted Pet Portraits. But seriously, ALL your picks rock. Question: Does "It's a Bird" make a lot of noise? A fun collection of great gift ideas. If Raven were more playful, I'd get her those cat play boxes.